Known for its scenic beauty, golden beaches, beautiful rivers and lakes and architectural splendors, Goa is one of the best tourist destinations in India. It has always been a top honeymoon destination in India. 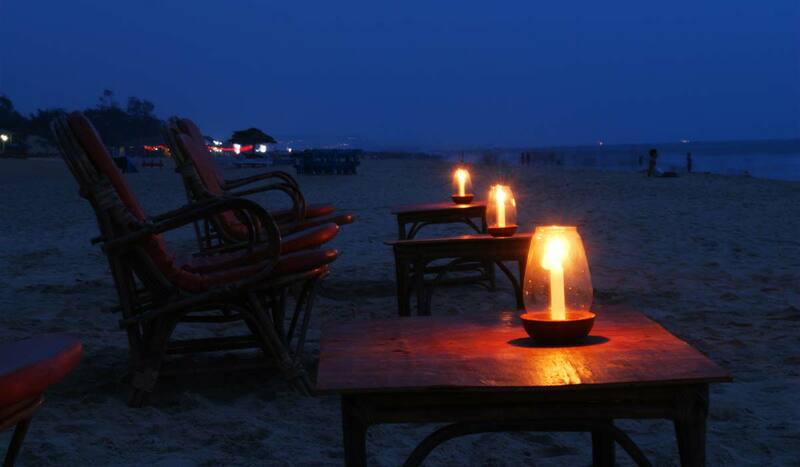 This honeymoon package will take you to one of the most famous beaches in Goa, the Colva beach. The Colva beach is a beautiful beach filled with natural greens that has still largely remained unexplored. Explore the best of Goa with this cheap and affordable Colva Beach Goa Honeymoon package. You will be visiting various famous tourist attractions and beaches of Goa. This 4-day budget honeymoon package to Goa will let you explore best of tourist places in Goa. Today you arrive at Goa Airport where you will be greeted by our representative who will brief you the whole tour. You will be taken to hotel in North Goa. Check in the hotel and relax. Rest of the day it at your leisure which you can devote to your personal activities. Spend the night in the hotel. After breakfast, get ready for a full day sightseeing in South Goa. 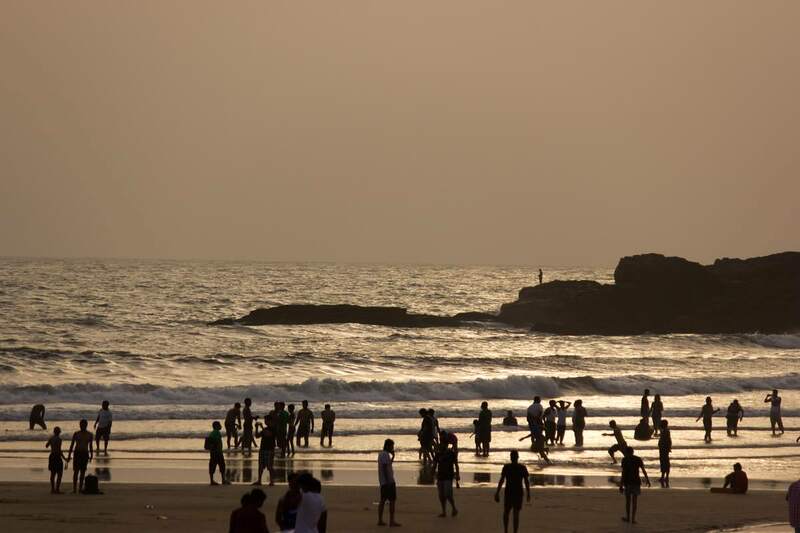 You will be visiting beaches of South Goa like Colva, Benaulim and Margoa. Colva is a famous tourist destination visited for its beaches, budget hotels, guest houses, beach shacks, food stalls, restaurants, pubs and bars. Visit Old Goa which has some of the most important cathedrals and churches namely Se-Cathedral, Church of St. Francis Xavier and St. Catherine’s Church. After visiting all the places, return back to hotel. Rest of the day is at leisure for independent activities. You’ll return to your hotel for an overnight stay. Today after the scrumptious breakfast, you will be taken to some famous beaches of Goa. First up, you will visit Anjuna Beach which is one of the most famous beaches of Goa and also famous for its shopping market. Next, you will be taken to Vagator Beach where your day will be at leisure. Enjoy the beach, swimming or water sports or simply have food and wine in one of the shacks there. After that you’ll return to your hotel for an overnight stay. After breakfast, today you will be taken to explore some of the most famous attractions of North Goa. Visit Panaji, the capital of Goa which will take you back in the historic times of Goa. Visit Basilica of Bom Jesus which is a 16th century church and Se Cathedral – one of the oldest cathedrals in India. Next, you will be taken to Aguada Fort which is a 17th century Portuguese fort situated the beachfront. After that you’ll return to your hotel for an overnight stay. After a lip-smacking breakfast, the day is at your leisure for independent activities. You do have an option to choose a tour. Extra charges may apply. Spend the night in the hotel. Today is the last day of the tour. With all the fond memories of this beautiful place, bid adieu to Goa. Enjoy a lip-smacking breakfast in the morning after which you will be transferred to the airport for your return journey back to your home. If you are not able to make up your mind from any of the above listed in Colva Beach Honeymoon Package in Goa, then we can also make changes and provide a customized, tailor-made romantic Goa honeymoon vacations, especially for you. We can modify this Goa packages as per your budget, duration as well as the tourist places you’d like to visit or whether airfare should be included or not. This customization helps you make the best out of your honeymoon package with your loved one and keep the candle of romance burning. Contact us for personalized Goa romantic getaways packages and honeymoon tours to Goa. Me and My wife are planning for a goa honeymoon on 15th for 5nights and 6 days.Can you send me the best quote.Please revert us ASAP so that we can decide. i want to go goa on 15 dec 2013 along with my wife….